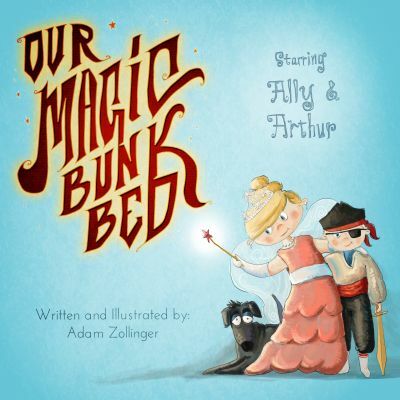 This children's bedtime story follows the adventures of Ally, Arthur, and their dog Hoover. When their dad makes them a new bunk bed, all it takes is a little bit of imagination, and little bit of magic, and they are on their way. Their bed takes them to many places, far from the confines of their bedroom. If your children love imagination, dress-up, and adventure, they will love this book. "The illustrations are fantastic as well. " "Good for both girls and boys. " "I would recommend this to anyone with young children. "